Whenever I print out my street photographs or read another photo book, I get a different sense of appreciation for the photographs than looking at them on a screen. 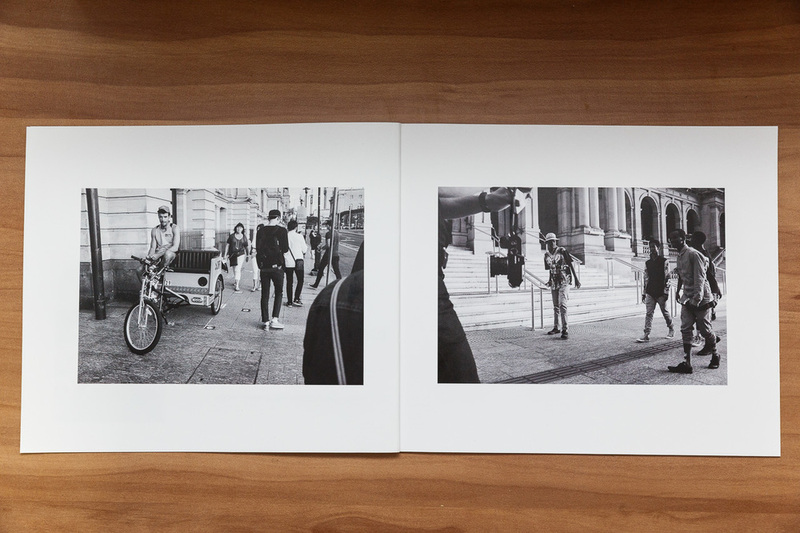 I decided to put together a book of some of my favourite street photographs so far and see how the layout and print quality looks for later on down the track. My intention is to spend at least this year building up a large library of work to choose from, particularly centered around my experience within Brisbane, where I live and produce a more complete book, even if just for myself. I had 22 10x8" premium matte pages printed as a book through Blurb.com and here's some of the results. You can buy a copy of this test book at cost price for around $25 excluding postage.